Unless you were to somehow find yourself clinging to the fin of an unsuspecting great white shark, you’d probably never really know what they got up to in their spare time. Of course, we could always speculate. A Shark’s Tale suggested they hang out together in criminal gangs, while Finding Nemo portrayed great whites as nice creatures who do their best to see fish as friends, not food. But let’s be honest, as smart as the people behind those animations were, their representations of the lives of sharks were probably a little off the mark. Thankfully, one scientist found a way to see exactly what the creatures get up to. PhD student Oliver Jewell of Murdoch University, Australia, and his colleagues decided, bizarrely, to get up close and personal with some of the toothy predators. 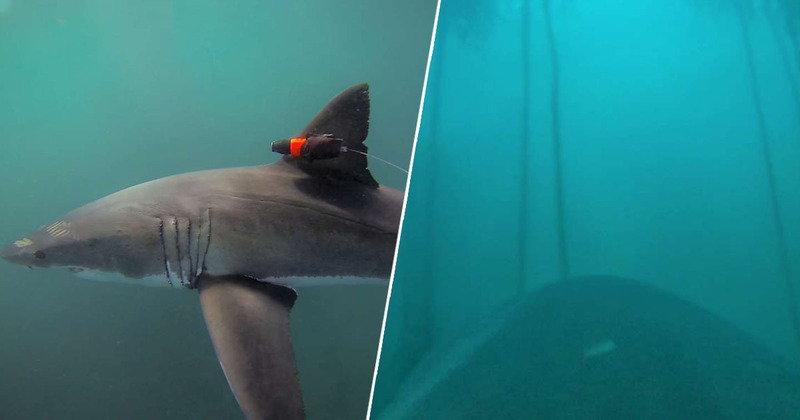 The researchers managed to entice eight great white sharks to their boat using chum and a seal decoy, where they attached cameras to their fins in order study how they hunt Cape fur seals off the coast of South Africa. The cameras were designed to stay on the sharks for a set number of hours before popping off and being collected at the surface. 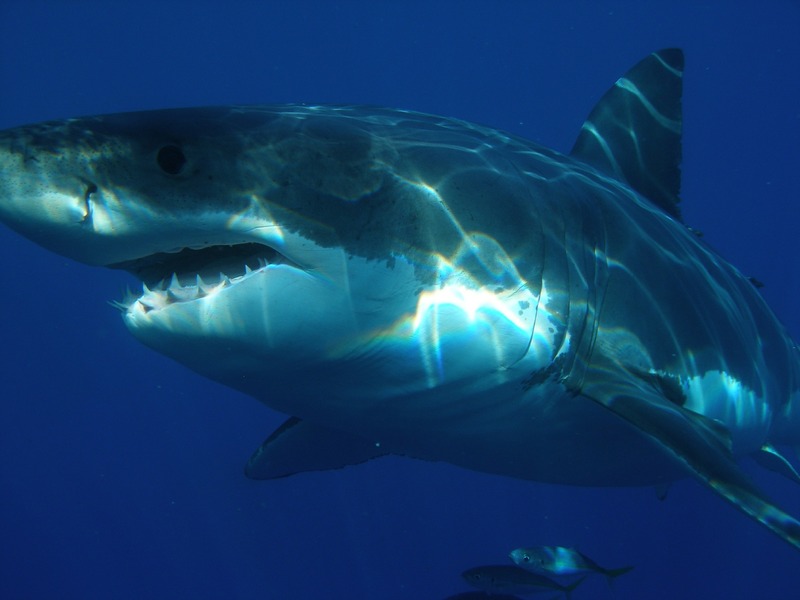 The footage revealed the great whites hunting in kelp, something scientists hadn’t thought they did as it was presumed the sharks were too big to enter the kelp forests. They could be seen navigating tight channels as they searched for their prey, while the seals could be seen displaying predator evasion techniques like blowing bubbles at the sharks. The film we collected gives us a new perspective on this species. We can see how they interact with their surroundings in real time, and they are able to make some pretty spectacular 180 degree turns in the kelp forest. In the past we would have to guess. We would track sharks to the edge of the kelp forest but then lose the signal. Being able to see what these fish do in this habitat helps to bring another layer of understanding to the behaviour of these ocean giants. However, the 28 hours of footage did not show the sharks actually killing any seals in the kelp forest, which may support findings that kelp provides refuge for seals. Jewell said more research was needed to confirm the behaviour. It’s awesome to get a shark’s-eye view on their life in the ocean!